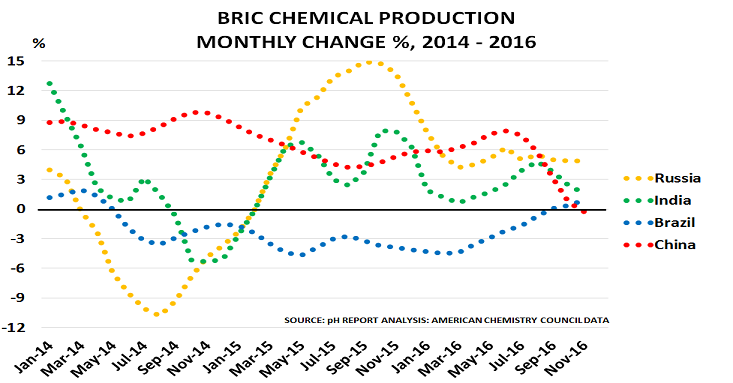 The post The global economy and the US$ – an alternative view appeared first on Chemicals & The Economy. We are probably still at a relatively early stage in the process, as the chart highlights for the four Bric economies. China, with foreign currency borrowings of $1.2tn in Q3 last year seems most at risk initially, as more than half of its debt is thought to be US dollar-denominated. Pressure is already building as the renminbi has fallen by 7 per cent since last March, and domestic interest rates have risen by more than a fifth since Q3. The problems are likely to prove complex to unwind, given that the government has reached the end of the road with its initial response, which was to use its forex reserves to support the renminbi and reduce interest rate pressure. Its reserves have now fallen by a quarter to $3tn since their June 2014 peak, and are approaching the $2.6tn level which is thought to be the minimum required for day-to-day operation of the economy. Since the New Year, it has therefore adopted a new strategy of further restricting capital outflows and hiking short-term interest rates to deter currency speculators. This highlights that its key issue is now the age-old challenge of managing the so-called ‘Impossible Trinity’, which says it is impossible to maintain a stable exchange rate, free capital movements and an independent monetary policy at the same time. Unfortunately for Beijing, this challenge is being intensified by Donald Trump’s election victory, given his desire to label China a currency-manipulator – even though there is little evidence to support the accusation. Perception matters more than reality in today’s febrile political environment and clearly the government feels obliged to try and defend the Rmb7:$1 level, ahead of Trump’s January 20 inauguration. But the tools it is using, such as overnight interest rates of 60 per cent plus, as seen early this month, can’t be maintained forever. History suggests they normally only defer the inevitable by further slowing the economy. India also seems to be moving into the firing line. Its currency is flashing warning signs, having fallen 3 per cent versus the dollar since November, while its domestic interest rates have risen by 3 per cent. The catalyst seems to have been the shock of premier Modi’s demonetisation programme. In theory, this should have led to lower interest rates, given that the amount of cash in circulation has fallen by more than half since November. So it may well be that markets are giving advance warning that investors may need to mark down growth prospects more dramatically, given the impact of the continuing cash shortages across the country. Brazil and Russia have so far been less impacted by these developments. 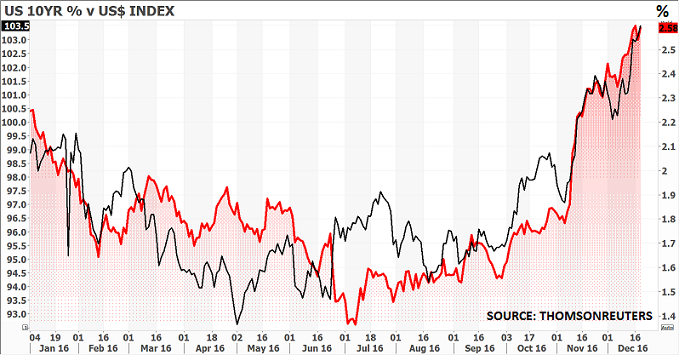 Brazil’s currency has fallen 3 per cent versus the dollar since October, and Russia’s interest rates have risen by 2 per cent since September. But Brazil’s interest rates have fallen back again after an initial rise, and Russia’s exchange rate has actually strengthened due to hopes that oil prices might stabilise following its agreement with OPEC to cut output. 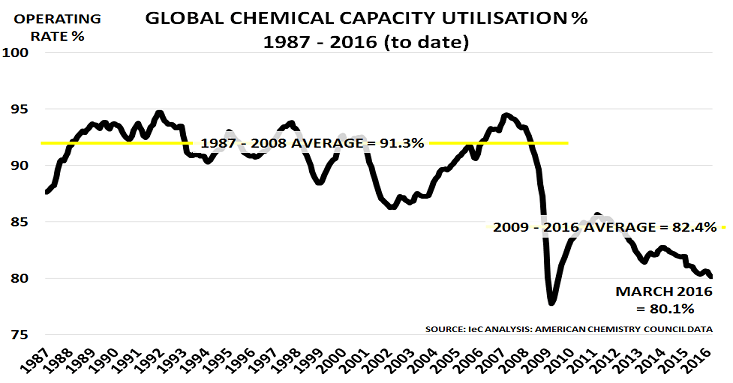 Unfortunately, as the second chart confirms, the latest trends in chemical production suggest the problems are now set to intensify. As discussed in November, the chemical industry is the best leading indicator that we have for global and national economies. 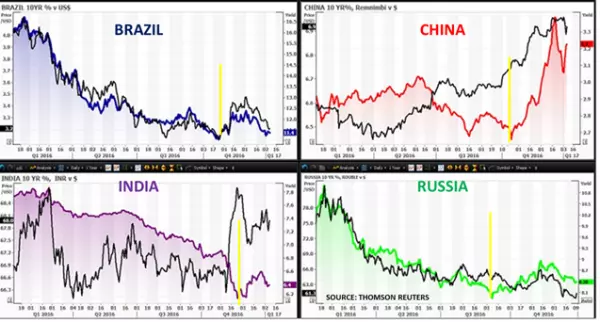 The data strongly suggests that a downturn is already underway in China, Russia and India, while Brazil remains close to recession. If confirmed, this will further weaken currencies. It may also create the potential for interest rates to push higher, as rising levels of default cause foreign lenders to worry about return of capital. We also cannot ignore the potential for second-order impacts, which tend to become more significant as downturns deepen. In oil markets, for example, OPEC is relying on continued strong demand from India and China to help rebalance global supply and demand. If their demand disappoints, even-deeper output cuts would be required, and these would likely be extremely hard to achieve. 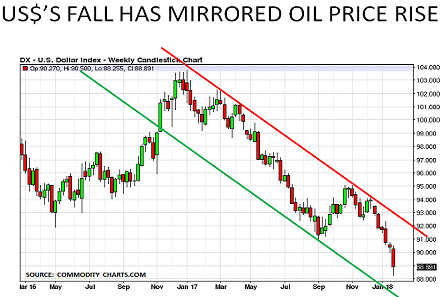 The same dynamics also, of course, apply to other commodity markets where supply and inventories are already ahead of demand. Developments in Bric currency and interest rate markets therefore need close attention in coming months, as they may well provide further evidence for our suggestion here in August that the Great Reckoning for stimulus policy failures is now underway.